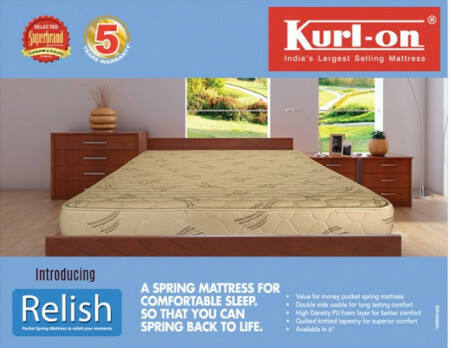 The kurlon pocketed spring mattress incorporates springs that are pre-compressed, in individually encased coils and hence each spring can adjust independent of the others. Therefore, the body receives an unmatched level of support, no matter what the sleeping position. This mattress isn't just excellent for your back, its unique construction also makes it the high point of comfort. FIVE year guarantee on material and manufacturing defects under sole description of Kurlon.